Chloe Morello: Winged Eyeliner Trends with L'Oreal and Megan Gale! 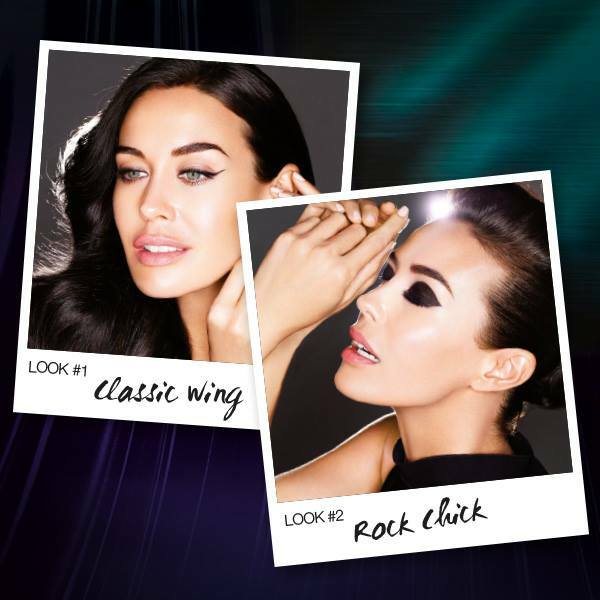 Winged Eyeliner Trends with L'Oreal and Megan Gale! I am so excited to finally show you guys something I worked on a number of months ago, with one of the worlds most recognisable beauty brands; L'Oreal Paris. I was invited onto their Winged Eyeliner shoot with the beautiful Megan Gale, an Australian Icon, model, actor, swimwear designer and of course; face of L'Oreal Paris in Australia. I had the amazing opportunity to interview Megan and ask her about her beauty tips and tricks, she was so so sweet, friendly and funny. I hadn't really met anyone that famous before and she is just so beautiful and tall it's a little shocking at first when you see her! It was my first interview with a celebrity, but I am so happy with how it went, she made me feel very comfortable even though there were heaps of people around, filming, watching on etc! 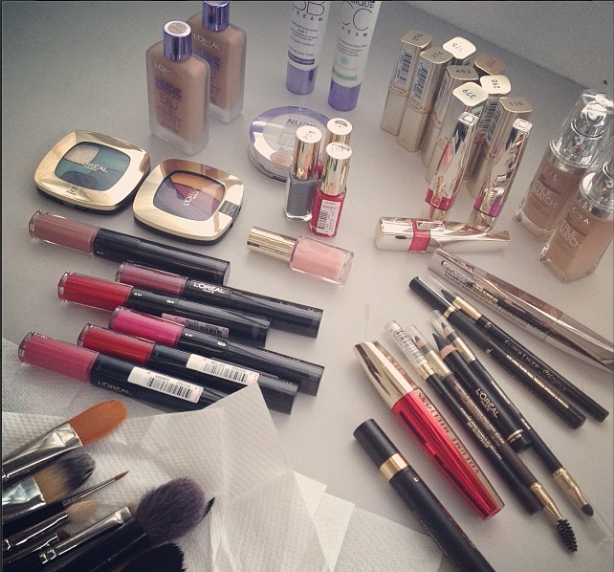 I got this picture from the L'Oreal Paris Australia Facebook page. Which look do you prefer? L'Oreal Paris' head makeup artist; Elsa Morgan was also there (OMG I love her, she is so lovely!) and she and I filmed a tutorial together on two variations of the hottest look in makeup this season; winged eyeliner. I am no stranger to the wing, its my top favourite makeup look so I've gotten pretty good at it over the years and so am so proud with how the looks turned out! I love some of the eyeliner products L'Oreal has released recently too, my favourite being the Blackbuster eyeliner so Elsa and I created two very different eye looks, a classic wing, and a rock chick winged eye using that product! Let me know what you thought of the video! I am still so excited that I got to meet the L'Oreal team, who are all so lovely, and spend time with everyone and watch Megan work! I love the video we created and hope you all do too. Before I go here are some more pics I pulled from my instagram from my day at the shoot! The beautiful makeup used on Megan and for the tutorial! Me with the lovely and talented Elsa Morgan, head MUA for L'Oreal Paris Australia! Graphic eyes we created for the rock chick look! More videos with L'Oreal coming soon! Goodbye for now! Love the interview! Good job, Chloe, happy for you!! Gives me a bit of inspiration to try out a winged liner again after many failed attempts.